Nabarangpur-Online: Balakrishna Rao of Nabarangpur appointed as Local Manager for 2nd ODI. Balakrishna Rao of Nabarangpur appointed as Local Manager for 2nd ODI. Balakrishna Rao, working under Deputy Director of Horticulture, Nabarangpur has been appointed as local manager for the upcoming India-England second one day International cricket match at Barabati Stadium which is scheduled to be held on 19th January, this was intimidated by the Chief Executive Officer of OCA vide letter no 2017/17. 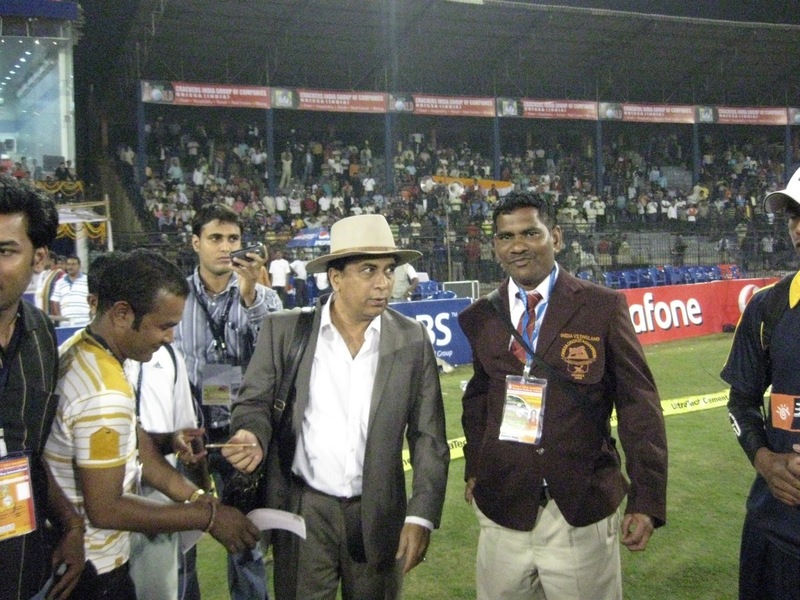 Earlier Mr. Rao appointed and effectively worked as local manager for teams of Australia, England, Srilanka, West Indies and for teams of Australia and England in the Women’s Cricket World Cup and IPL matches. For this nomination Mr. Rao gave his gratitude to the Odisha Cricket Association. In the meanwhile Commerce and Transport Minister Ramesh Chandra Majhi, Chairperson of District Planning Committee & Nabarangpur MLA Monohar Randhari, Member of State Transport Authority Pramod Padhy, Secretary of District Bar Association Rama Prasad Patro, President of District Odisha Union of Journalist Susant Kumar Behera, Odisha Sahitya Akademi member Bulu Hota, with many clubs, associations and sports personalities greets for the prestigious assignment. CHHER CHHERA in Puspuni at Nabarangpur.